We have been active in the aviation industry for more than four decades, manufacturing rigid piping and ready-to-install tubing kits, including bending, machining of components, cold rolling, assembly, welding, crimping, covering, etc. Our organization, our qualifications and certifications, and our production capabilities enable us to satisfy all your requests and to ensure reliable production in your bending and welding workshops. Our qualified teams of welders and fitters are certified to AIR 0191 and ISO 24394 standards. 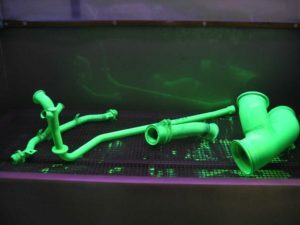 We guarantee continuous quality for the parts we manufacture in the aeronautics sector for all technologies we use – cold forming, bendin, machining, cold rolling, welding,… — the best proof of reliability that we can offer our partners — by using proven inspection means: pressure tests, x-rays, fluorescent penetrant inspection, dimensional checks and cleanliness checks. Our capabilities for technological innovation and the expert assistance we can offer your design teams are valuable assets. We offer unparalleled mastery of forming work upstream of your component design to ensure high reliability for your end products. We can work together with you to design your aviation parts and adapt their functions to make sure the manufacturing is perfectly suited to the part. Our strength: providing you with a complete solution, from design through to manufacturing. For your aviation parts, from design through to manufacturing, and even for sub-contracting management, Proform is your one-stop shop.